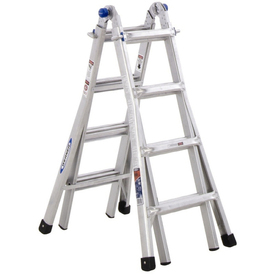 Lowes has the Werner 13 ft. Telescoping Type IA Multi-Position Ladder on sale for $74.25 with free in store pickup or shipping. $130 at amazon. Rated 4.5 out of 5. You can save an additional $10 if you click here to generate a code. This ladder has a Type IA Duty Rating with a 300lb. load capacity.